Art Hill, Forest Park, St. Louis Missouri. 7042 flags of valor, representing the men and women who have died in the war on terror since 9/11 fifteen years ago. Regardless of the politics since that date these men and women have answered the call of their country and paid the ultimate sacrifice. Please take a moment to honor their lives and the sacrifices their families have paid. Almost every year there is a graffiti artist gathering in St. Louis along the flood wall south of the Gateway Arch. 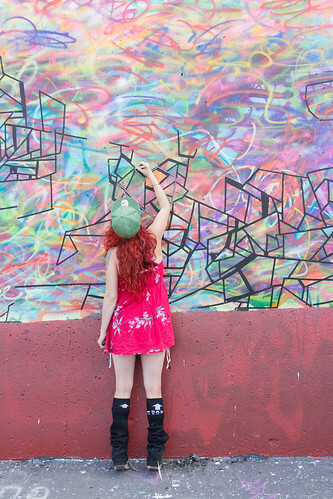 Artists from all over the country converge and paint the wall with the approval of the city. There are some wonderful works created. This particular piece is by an artist called Norm4eva.